If you are looking to book a fishing trip this summer give us a call at 1-800-445-4624 to book the fishing trip of a lifetime or email josh@canadianflyinfishing.ca. 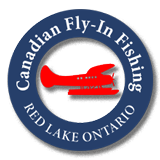 If you are looking for a 7 day trip be sure to checkout the details of our 2019 special you can also call 1-800-445-4624 or email josh@canadianflyinfishing.ca. Plans without dates are just dreams. Call or email today to book the fly in fishing trip you’ve always dreamed of.